A water test from RainSoft in your St. Louis, Missouri home can reveal whether you’ve been using water that has contaminants and other unwanted elements. 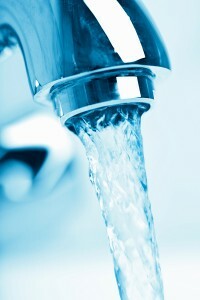 As you know, the water in your home is a crucial component of your daily life. Whether you’re cooking, cleaning, or bathing, you use water whenever you’re home. With how much you depend on it, shouldn’t you know exactly what’s in your water supply? Here at RainSoft, we believe you should, which is why we’re happy to offer a complimentary in-home water hardness and drinking water test to residents of St. Louis. Even if you already have a water treatment system in your home or a filter attached to your faucet, a water test can reveal contaminants that can otherwise go undetected. A water test could be the first step in resolving the issues above, as well as the many others associated with contaminants in water. This is because aside from providing you a complimentary water test, RainSoft also offers a range of advanced systems equipped to handle all sorts of water issues. In addition to our systems being Tested and Certified by the Water Quality Association, they also come with a Lifetime Limited Warranty, so you can rest assured knowing you can depend on us if any issues arise. If you’d like to set up a water test today for your St. Louis, MO home, all you have to do is call RainSoft to schedule an appointment, and we’ll take care of the rest.